Spring Has Sprung, and That Means It's Time for New Tires! Get the Best Deals on Tires here, with prices starting at just $49.95 ea. Compare our price to any competitor - if you find a lower price we'll BEAT it! 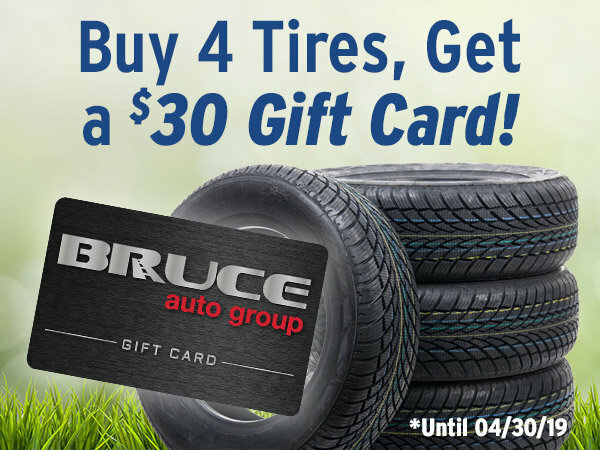 Get a $30 Bruce Auto Group Gift Card! Your gift card can be redeemed on future service appointments or purchases at any Bruce location!